Israeli soldiers detained, on Thursday at dawn, a young Palestinian man, and installed many roadblocks, in Jenin governorate, in the northern part of the occupied West Bank. Media sources said the soldiers stopped Mohammad Hasan Bani Gharra at a military roadblock near Arraba town, southwest of Jenin, and interrogated him for several hours before releasing him. 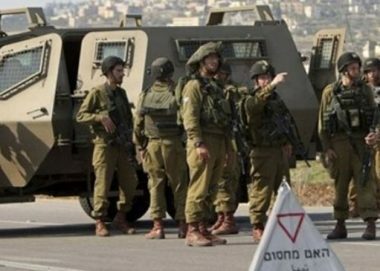 The sources added that the soldiers installed many roadblocks on Jenin-Nablus road, in addition to roads near Ya’bad and ‘Arraba towns, while dozens of soldiers were deployed in several areas, before stopping and searching dozens of cars, and interrogated scores of Palestinians while inspecting their ID cards.